Not all college degrees are created equal. When it comes to choosing a college major, it’s important to look beyond your four years in school and consider how the degree will impact your career in the long term. If you are taking out student loans to pay for a college degree, it’s even more important to ensure that the degree will ultimately enable you to pay off your loans. Of course, it’s not just salary that can make a degree a poor choice. “Worst” is, of course, a subjective term. Some might define the “worst” major as one leading to a job with low pay. Others might prioritize work/life balance, or job satisfaction. The following college majors have been examined from all angles, from the lowest pay to the highest rate of unemployment, and more. the "worst," consider that there might actually be a good reason to choose one of these majors along with several reasons to think twice. Choosing a "worst" major that's considered under-represented by a school can give students an edge in terms of acceptance and financial aid. Graduates may experience a low sense of meaning in post-college work. Jobs in the degree field may have low starting and mid-career salaries. Jobs for "worst majors" won't appear as often in job postings and will likely have poor job prospects. PayScale surveyed 2.3 million college graduates in their 2017-2018 College Salary Report. To determine the early career salary of each major, they looked at employees midway through the first five years of their career. Of course, if you can’t find a job in the first place, your starting salary is a moot point. The National Center for Educational Statistics’ report on the unemployment rates of 25- to 29-year-old bachelor’s degree recipients by field of study lists the unemployment rate by major and notes that the average unemployment rate for all majors was 3.5 percent. It’s important to keep in mind, though, that your ability to find a job after graduation can depend on a variety of factors, such as the state of the job market at the time you are looking, your internship experience, and your references. Any job can feel like an absolute drag if you don’t feel like the work you are doing has a beneficial impact, or indeed, any impact at all. Even if you’re making great money, it can be difficult to give a job your all if you can’t wrap your head around why you’re doing it. In their 2017-18 College Salary Report, Payscale looked at the percent of individuals who believed their work made the world a better place. The list below represents the majors with the lowest percent of alumni reporting this belief. When choosing a college major, it can be helpful to look at data (like what is shown in the lists above), but do keep in mind that the data should not necessarily have the final say. There are many other factors to consider. If you're a bit light on academic qualifications for college entry or need other ways to qualify for financial aid, certain majors that fall under the "worst" heading may actually give you an edge when it comes to getting accepted into the school of your choice or getting financial aid. Schools that feel certain majors are less popular or under-represented are more willing to make it easier for students to gain entry. Just because a specific degree has a low starting salary does not mean that you are “doomed” to receive a less-than-ideal salary for the rest of your life. Someone who’s making $35,100 as a paralegal studies major, for example, might make the decision to go to law school and make $300,000 per year. An individual who has received an elementary education degree with a starting salary of $35,000 might decide to go back to school for her master’s or Ph.D. and go on to become a principal. That being said, your major is also not your destiny, so to speak. Recent studies have shown that up to half of individuals surveyed reported that they did not work in a job that was “directly related” to their major. As you advance in your career, in many cases your professional experience is more important to employers than your degree, with the exception of fields that mandate an advanced degree, such as medicine or engineering. 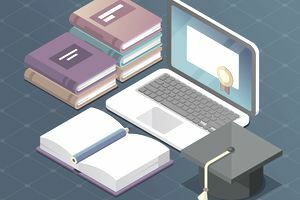 Finally, keep in mind that, in this day and age, there is ample opportunity to make a career change, whether by way of online learning, boot camps, workshops, or certificate programs. While a specific choice of major can set you up for success, it’s important to remember that you have control over your career path; the degree you earned doesn’t automatically mandate that you follow a specific profession. It’s up to you what opportunities you pursue after you graduate. Sources: PayScale’s 2017-2018 College Salary Report, The National Center for Educational Statistics’ Unemployment Rate of 25- to 29-year-old Bachelor’s Degree Recipients Report, Sokanu’s Degree Satisfaction Report.